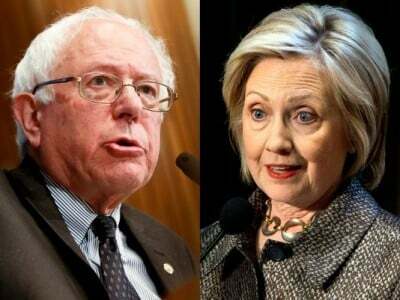 Hillary Clinton and Bernie Sanders sparred about U.S. foreign policy in Latin America, and particularly Honduras, during the debate in Miami, Florida. If we could have intervened effectively in the Holocaust, who among us would say that we had a moral obligation not to go in. If we could have stopped Rwanda, surely, if we had the ability, that would be something that we would have to strongly consider and act. So, you know, when genocide is happening, when ethnic cleansing is happening somewhere around the world and we stand idly by, that diminishes us. So I do think we have to consider it as part of our interest, our national interest. But understand that there’s a lot of cruelty around the world. We’re not going to be able to be everywhere all the time. That’s why it’s so important for us to be able to work in concert with our allies. Hillary Clinton claims that she urged her husband to intervene in Rwanda, and he backs her up in that claim. Daily Kos writer Shane Hensinger accuses Clinton of lying and cites her White House schedule from the first week of April to mid-July 1994 as evidence. He says that during the key moments at which U.S. and U.N. policymakers discussed the crisis in Rwanda, First Lady Hillary Clinton was meeting Princess Margaret and attending a Royal Ballet gala, brunching with King Hussein and Queen Noor of Jordan, attending the DNC gala, etcetera, etcetera. Hensinger does not question the narrative about failure to intervene in Rwanda. Writers including Robin Philpot, author of “Rwanda and the New Scramble for Africa,” and Ed Herman and David Peterson, authors of “Enduring Lies: Rwanda in the Propaganda System 20 Years Later,” argue that the story of the U.S. and U.N. failure to stop the mass killing in Rwanda is a lie because the U.S. and U.K. in fact supported Gen. Paul Kagame’s invasion to seize power in Rwanda, which included the massacre of hundreds of thousands of Hutu civilians.